For many children, dental procedures can be scary occurrences. Despite explaining procedures and providing assurance, children can still be uncooperative during procedures. This may make it harder for the dentist to do the procedure quickly and efficiently, and can also increase the child’s anxiety levels. One solution to this problem is using dental sedation to relax the child during the procedure. Dental sedation is not anesthesia. Anesthesia renders a patient completely unconscious and unresponsive, while sedation simply makes a child drowsy and relaxed. In this relaxed state, the child becomes more cooperative so that Dr. Atabaki can complete the procedure quickly and correctly. It makes the procedure safer for both dentist and patient since excess struggling on behalf of the child could lead to injury. Sedation will also decrease the child’s anxiety level allowing them to relax and not fear the procedure. There are different types of sedation that Dr. Atabaki may offer including oral sedation, nitrous oxide, and intravenous (IV) sedation. Oral sedation is a liquid that your child swallows at the start of the appointment. Oral sedation generally needs at least twenty minutes before the sedation is effective. Nitrous oxide is commonly referred to as laughing gas and is delivered through a mask placed over the child’s mouth and nose. Nitrous oxide takes only about five minutes before it is effective. Finally, IV sedation is administered via a needle inserted into the patient’s vein on the back of the hand. The effect is immediate. 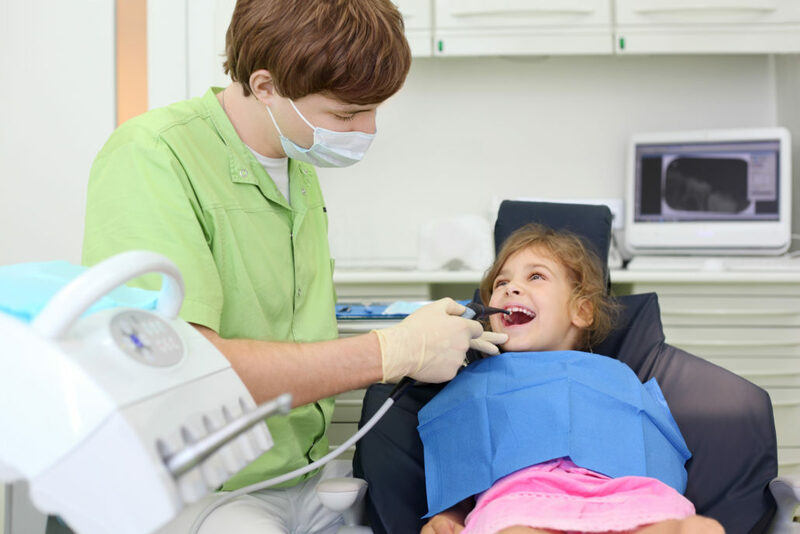 Most dentists will use nitrous oxide to put the patient in a calm state before inserting the IV and will remove it before the child even realizes it’s there. If sedation is recommended for your child’s procedure, there are a few guidelines that must be followed prior to the procedure. Depending on the type of procedure and sedation being used, Dr. Atabaki may want your child to visit their pediatrician for a medical evaluation. You may then need to bring proof of this evaluation to the dental appointment. Also, no matter what type of sedation, you will most likely be told to not let your child eat or drink anything after midnight. Sometimes, if the procedure is later in the day clear liquids may be permitted, but you must always consult with your dentist. If you do not follow the instructions Dr. Atabaki gives you, the appointment will be canceled for the safety of your child. You will also want to make sure that your child is comfortable during the procedure. Dressing them appropriately is one way to accomplish this. For dental procedures, you will want to avoid shirts with buttons and flip-flops. Instead, dress them in comfortable pants, closed toed and flat shoes, and a loose-fitting shirt. You may want to bring extra clothes as well. Another way to keep them comfortable is to bring their favorite blanket and/or stuffed toy. This will give them something familiar to hold onto as a distraction during the procedure and will reduce their anxiety. After sedation, you will want to be present when your child comes out of sedation. Dr. Atabaki will have you wait in the office until the sedation wears off and it is safe to take your child home. While most of the sedation should wear off at the office, your child will most likely experience lingering drowsiness for the remainder of the day. You will want to keep a close eye on them throughout the day since sedation can make them clumsy and possibly nauseous. It is also important to encourage them to drink water to flush out the remaining sedation.